As part of my job, I always attend trade exhibit especially for printing, graphic, and sticker industry. 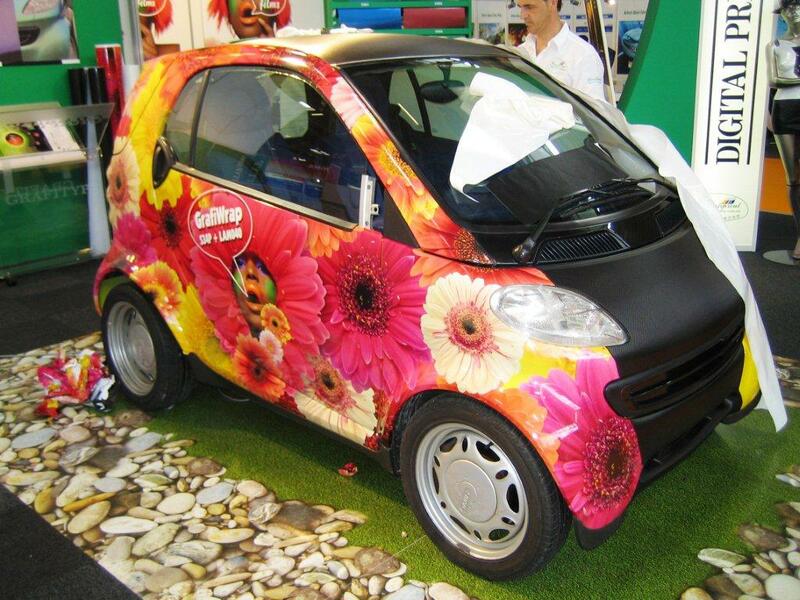 In my visit to Fespa 2010 which was held in Munich, I was able to take a photo of this beautiful and cute car wrapped by vinyl stickers with pink flowery stuff. Wow, so cute! I like the vinyl stickers with pink flowery stuff. nyahahaha pagka cute ba anang car...mura man sad ng atong car nga naa sa Sweden nga ingon ako 9 year old son na papalit sya adto kay kasya daw sya ato mag drive...ahahaha. That is so cute! I think I saw a car like that around town last week. Visiting thru The Bloggers Exchange.April batch is up and Thanks for submitting your link. Be sure to copy/paste all the links and make a post or page for it.Do not forgot to put the badge anywhere in your too.Thanks!